nicholas ? tey ? peter ? Anything going on in the KL region in the next couple of weeks? Just did a small meetup in KL a couple of days ago. Planning for more events in the future and hopefully gather more owners from here..
any ideas where to find injen intake kit in malaysia? has anyone change their shift knob. i bought a moddiction Anvil 2 shift knob, but the tread is not right. any advise? Glad to see another member from Malaysia. Did some research on the forum and found one person did the same. 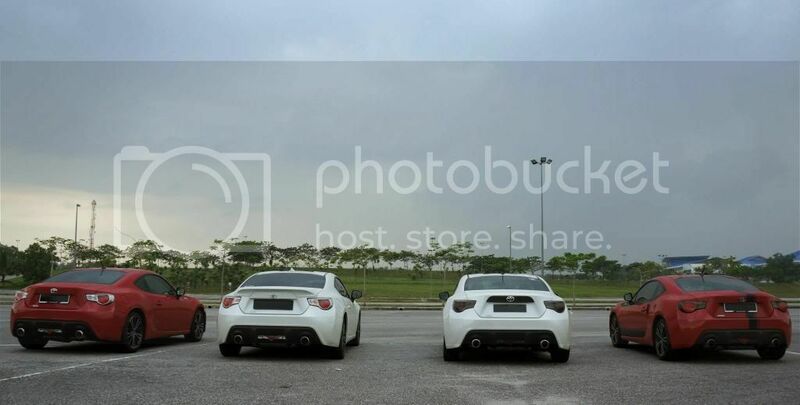 Do look up Toyota 86 Malaysia on FB and join the group. Im based in UAE actually. But when im back i live down south in jb. Any 8sixers from frm south? Just got mine...Red Manual. Any clubs or events so far? i have done the cabin sound generator delete with a plumbing part for 30sen only. anybody interested?